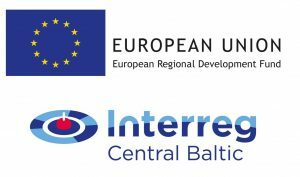 The Central Baltic Programme 2014-2020 is a funding programme financing cross-border cooperation projects in the central Baltic Sea region. The participating countries are Finland (incl. Åland), Estonia, Latvia and Sweden. Altogether 115 million euros from the European Regional Development Fund (ERDF) is made available through the programme. The funding is available for cross-border cooperation projects where partners from at least two countries are cooperating under one of the four programme priorities. Interested project applicants are warmly welcomed to discuss any potential project ideas with the Joint Secretariat of the programme at the Regional Council of Southwest Finland. Project coordinator who’s advice during the implementation period is highly appreciated and sometimes desperately needed is wonderful Pille!